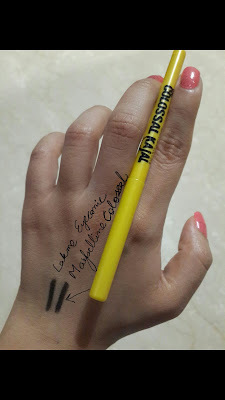 I know we girls love our kajal (kohl) pencil and that's one of our staple makeup must have! No matter what age we are, we don't step out without a lovely kohled eye. 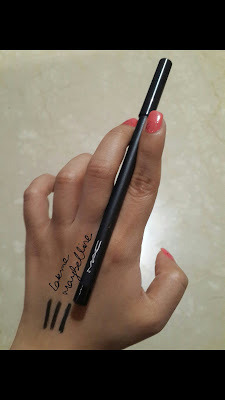 Some girls just like to line their waterline, some just on the upper lid and some (like me) who love to do both.But who would want to see a faded kajal which wears out after some hours? 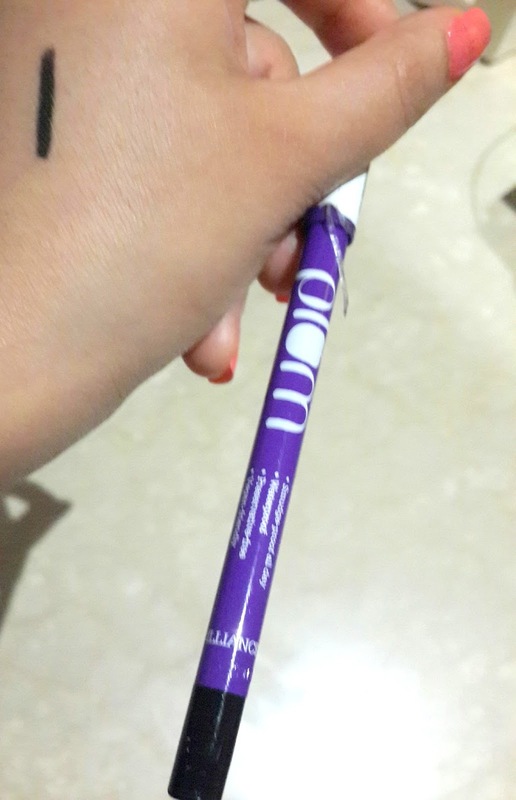 I've been a kajal person since sooo many years and i don't step out of my house with out it, i'd like to share some of my favourite Kajals which iv discovered over time and some recently which are Smudge proof,waterproof, budge-proof and all the good things which would last a longgg time and not fade. Yes not even if its evening from morning.. 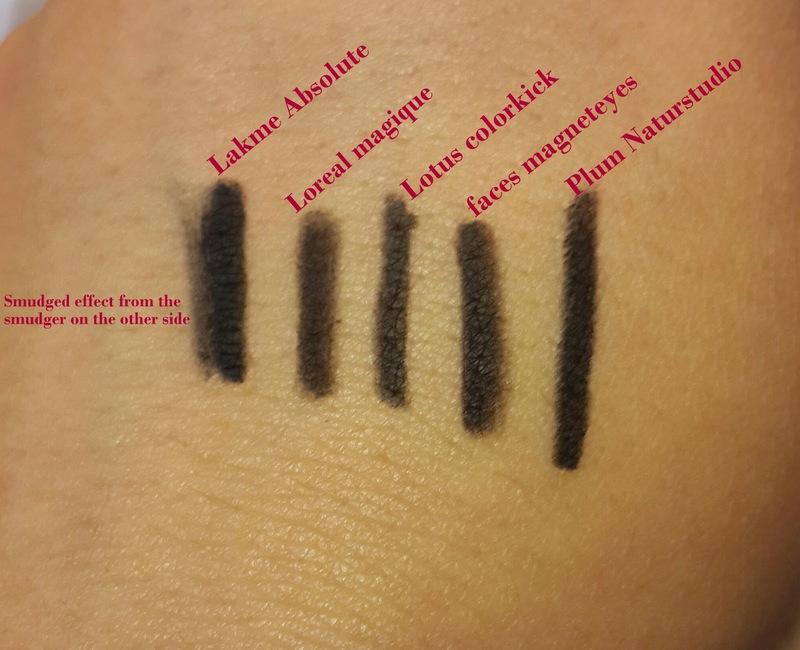 I'll share the reviews and swatches of some kajals, you can observe its pigmentation and then i'll share a pic showing a comparison of which ones actually smudge! Most of the kajals are very affordable, one-two are in the medium range and one is high end. It comes in this Black Roll on packaging with a hint of pink which i loved when i first saw it. It is very very affordable for Rs 275 for 0.35 gm of product. The swatch of this is shown in the pic . The no. 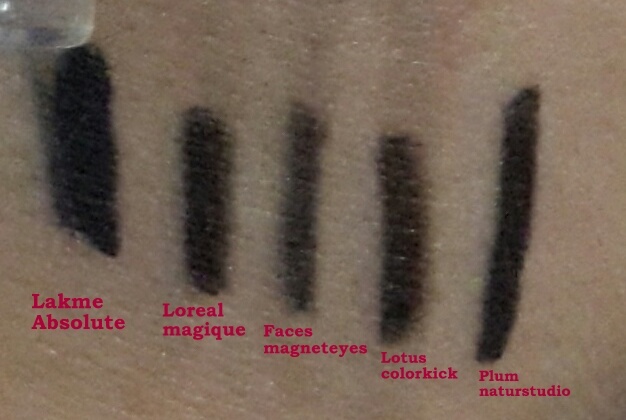 1 swatch that you see is of this kajal. I would not stay is the deepest black as i have found more pigmented kajals lately but for its price its amazing, its good for daily wear if you are going for a lunch or a dinner. But ya it does fade after 5-6 hrs of wear. 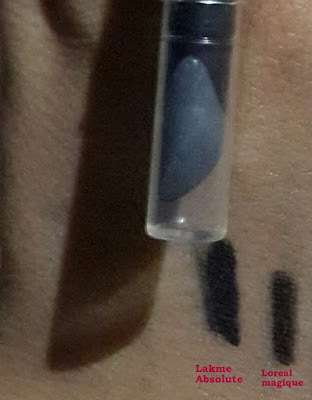 It retails for Rs 175 for 0.35 gms of product. It says that it is extreme black which it is but letsc if its smudgeproof and waterproof which it claims. It comes in this cute fuschia pink roll on packaging. Rs 199 for 0.28gm. I had never tried Lotus makeup only its skincare products.But i had read some reviews about this one and i personally went and tried it for myself. It is again so creamy and it glided on very smoothly so i knew i had to get this one. It is 100% vegetarian i.e cruelty free of animals which is a thumbs up! It claims the stay power of 8 hrs but lasts for about 5-6 hours. Lets see if it is smudge proof or not! 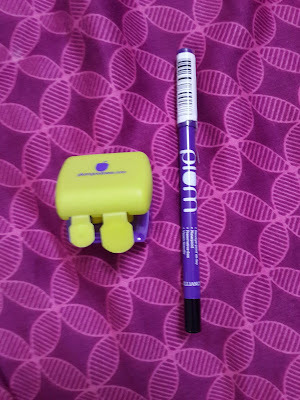 Plum is a skincare brand which has launched its two kajals one is this other is Angel eyes kajal. This one is a Purple kajal pencil of 1.2 gm of product and for Rs 425. 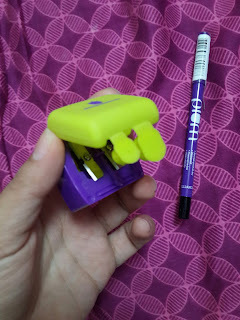 It comes with its very own sharpner which is very handy to sharpen this pencil to make a crisp wing on the upper lid. 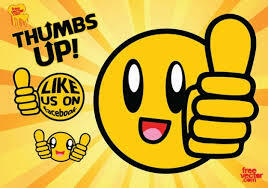 It also states that it preservatives free and vitamin e enriched.That is a thumbs up! 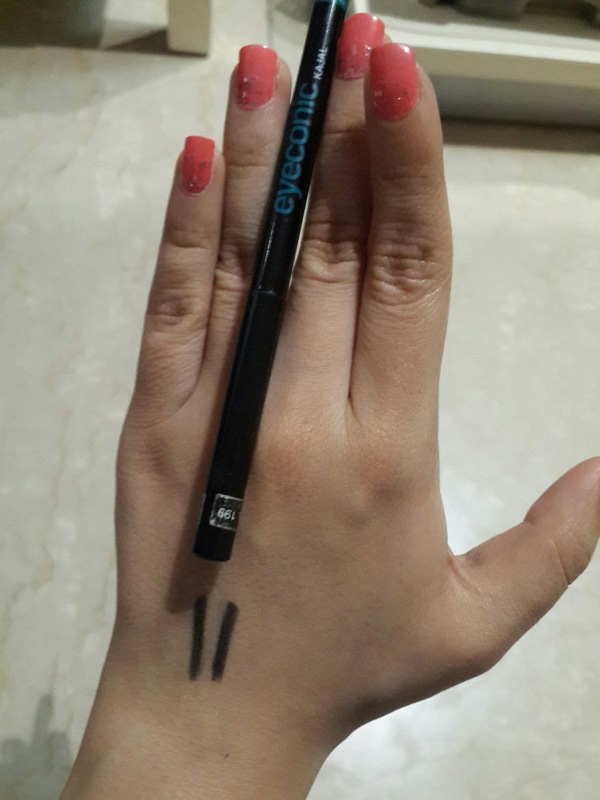 I'v discovered that not only it is a kajal but it has a texture of a gel liner which comes in tub form! Many of you must've not even heard of this brand and some of you who have heard must be thinking is it really good? is it worth the hype around it? Letsc.. 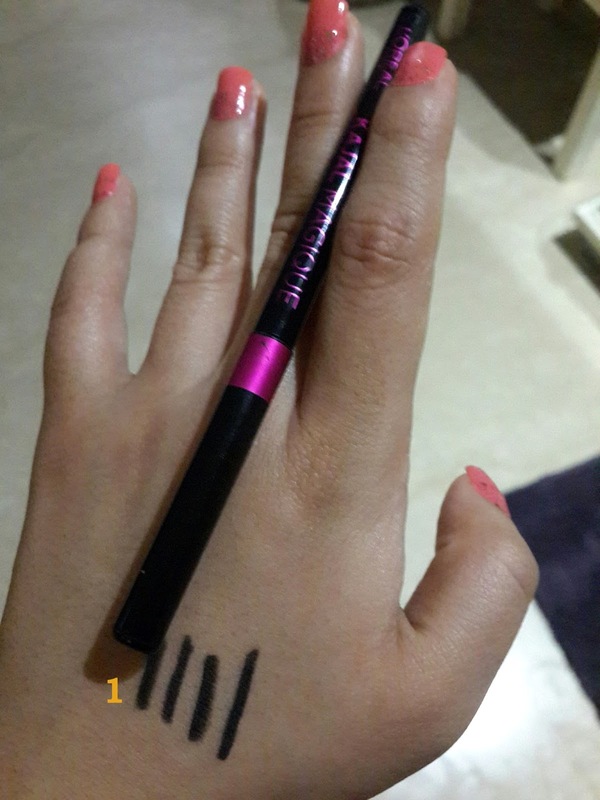 This is lakme's kajal from their Absolute range which is a bit pricey than their normal range. 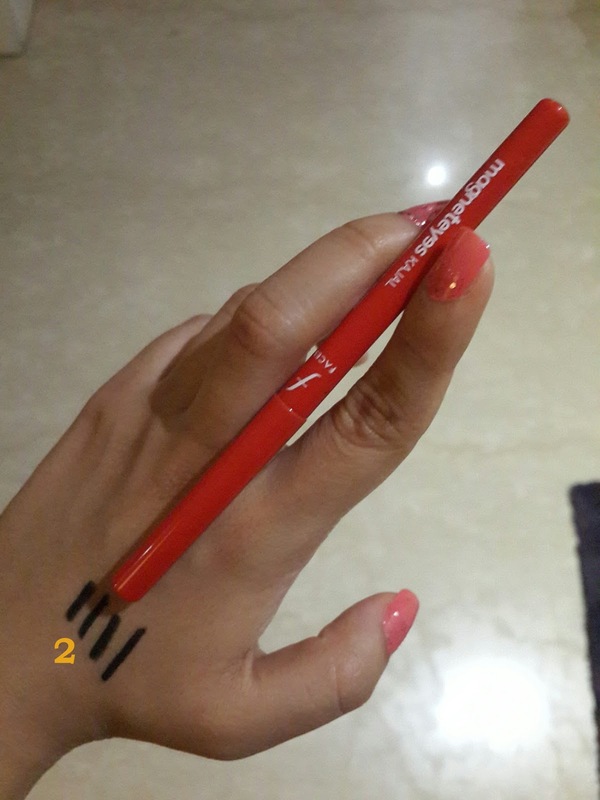 This kajal comes in a pencil form with a smudger on the other side to create smoky eye looks or to smudged out kajal look. It is so jet black and so smooth, even more than the previous ones i'v mentioned. After swatching i rubbed them with my finger to see which one smudged the most and which one dint smudge at all! Where as faces magneteyes (Rs175) smudged the most out of the lot ! 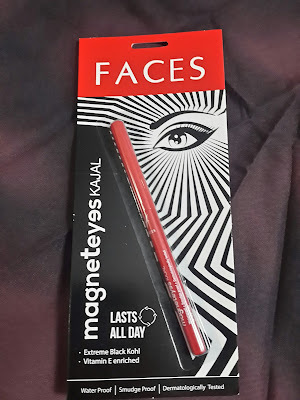 Although when you see their price differences you see that faces magneteyes is the cheapest and i have worn it for movies and even office and it never smudged on me , so i would recommend all these 5 kajals as these are very long lasting so choose depending upon your occassion and budget! Its not a new kajal, its been in the market for about 5 years now. Its in a black Roll on packaging for Rs 275. 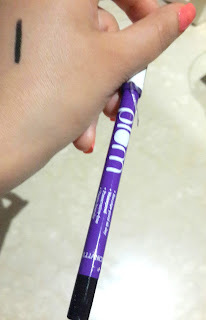 The problem is the pigmentation of this is less than the loreal one which is one the same price and the stay capacity is also less than that so i prefer loreal one over this for daily wear! Its been in the market for years. 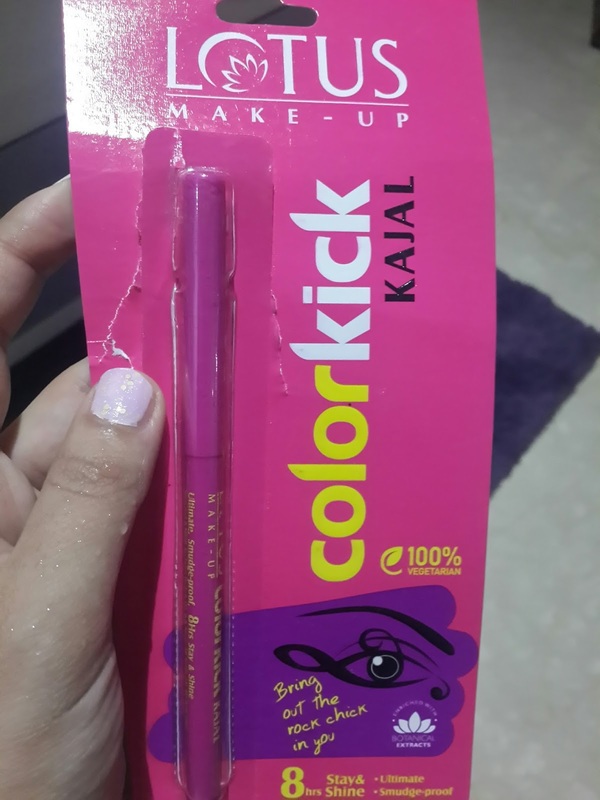 I wont deny it used to be my most go to kajal at one point and i loved it. It is a yellow roll on packing tube for Rs 200. If you compare the pigmentation of lakme eyeconic and colossal then colossal does a better job but when you see new kajals which are of similar price and they are more long lasting then you tend to gravitate towards them. But i would still suggest it to college going girls and people who like to keep different kajals for different days or occassions to buy it to keep it handy in your bags as it is jet black and affordable. I got it this when i bought the M.A.C smokey eye set so i did not try the product before. The pencil is very creamy and very black and it doesn't smudge until your hand touches the eye but yes it will fade eventually as it is not fade proof ! The MAC feline kajal is only meant to create smokey eye or to create a soft smudged kajal look. Price can be inquired from MAC counters! and share my blog with your friends.Ask them to join my fb page by liking it! and subscribe to my blog by clicking on Join this site button on top right corner of the website. Also you can join me on my social media ,links under the join this site corner.